Trump says it would be ‘wonderful’ if India and Pakistan got along. Here’s why they don’t. One of the most dangerous rivalries on the planet is heating up — and even President Trump is treading carefully. Of course, there are important reasons for the animosity between the nuclear-armed neighbors. The main, ongoing source of conflict is Kashmir, a Himalayan border region whose status has been contested ever since India gained independence and Pakistan was created in the partition of British India. Here is a selection of recent highs and lows — though mostly lows — in their tense relationship. The dispute over Kashmir is as old as India and Pakistan. India controls the larger and more developed chunk of the Himalayan region, which forms its only Muslim-majority state. In 1987, legislative elections were held in Indian-controlled Kashmir, but Kashmiri Muslims protested that the polls were rigged. Two years later, an armed insurgency erupted in the region, along with mass protests. The militancy against Indian rule has continued, with ebbs and flows, ever since. More than 70,000 people have been killed, according to human rights groups. In 1998, India and Pakistan both tested nuclear devices, marking a fundamental shift in the strategic balance in South Asia. The next year, Indian Prime Minister Atal Bihari Vajpayee traveled by bus to Pakistan across the only official border opening in a gesture of friendship. He and Pakistani Prime Minister Nawaz Sharif pledged to resolve their differences through dialogue. Before the year was out, hopes for reconciliation were dashed. 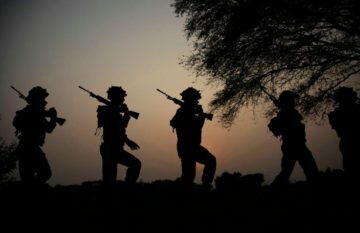 After months of cross-border firing in the mountainous Kargil region of Kashmir, the fighting escalated dangerously, with infiltrators from the Pakistani side crossing into high-altitude security posts in India. This time, the specter of nuclear war hung over the dispute. A meeting between Sharif and President Bill Clinton in Washington helped end the fighting, and Pakistan withdrew back to the Line of Control, but mutual hostility remained intense. In December, five militants attacked India’s Parliament in the heart of New Delhi, killing nine people before the attackers were shot dead. The brazenness of the attack — in the most secure area of the capital, on a target symbolizing Indian democracy — left India shaken and enraged. India blamed the attack on two Pakistan-based militant groups, Lashkar-e-Taiba and Jaish-e-Muhammad, and accused the Pakistani intelligence service of being behind the operation. India massed hundreds of thousands of troops at the border with Pakistan and kept them there for the better part of a year. 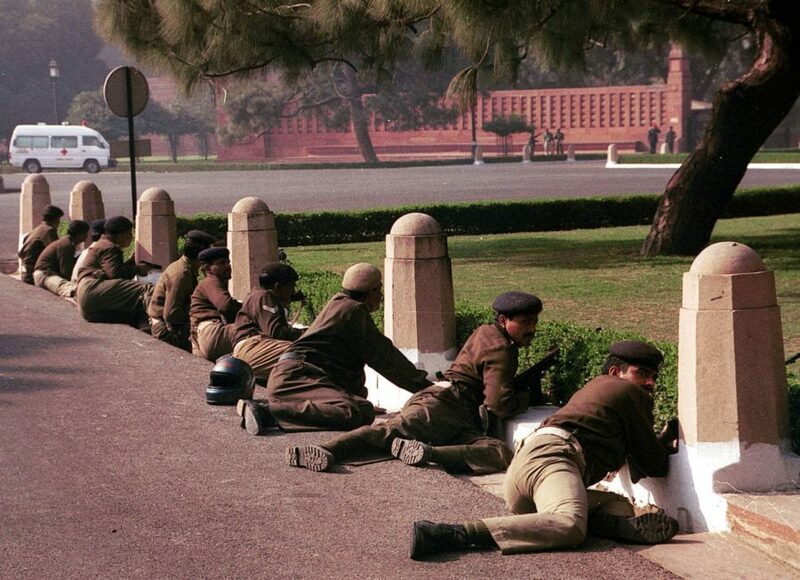 After the attack on India’s Parliament, the relationship between India and Pakistan entered a deep freeze. But by late 2003, the atmosphere began to thaw: Top diplomats returned to Islamabad and New Delhi, and transportation links between the two countries were reinstated. Most promising of all: an agreement by Indian Prime Minister Vajpayee and Pakistani President Pervez Musharraf to open talks on all issues, including Kashmir. The talks continued for three years. 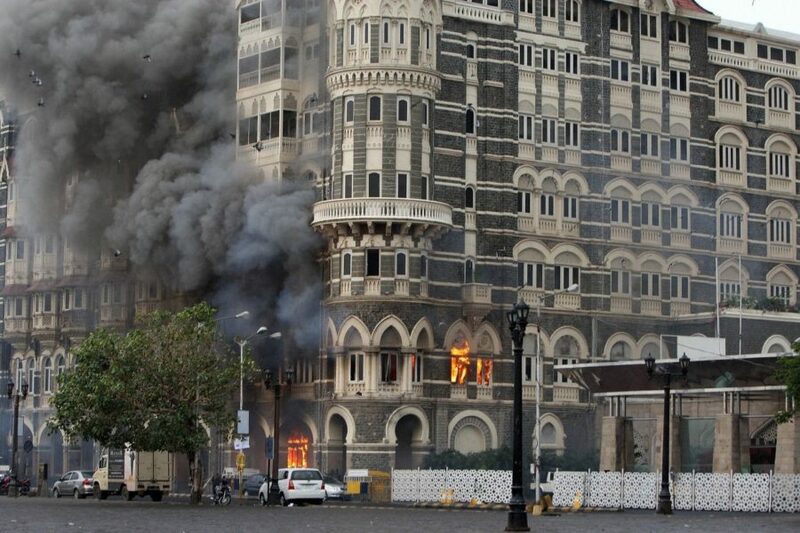 In November, a team of 10 attackers approached India’s financial capital by sea and targeted a railway station, two luxury hotels, a renowned cafe and a Jewish community center. By the time their three-day killing spree was over, more than 160 people were dead. India presented Pakistan with a dossier showing that the attack was planned and carried out by Lashkar-e-Taiba. India also said Pakistan’s spy agency helped orchestrate the attack. Last year, devotees of Lashkar’s former leader ran for Parliament in Pakistan’s elections. After militants belonging to a Pakistan-based militant group stormed an Indian army base in Kashmir, killing 19 soldiers, Indian Prime Minister Narendra Modi promised to respond. India announced that it had launched “surgical strikes” in Pakistani-controlled Kashmir — commando raids that crossed the Line of Control. Indian experts said similar raids had been conducted before but never made public. Pakistan said no such incursions took place. On Feb. 14, a suicide attacker rammed an explosives-laden SUV into a convoy of Indian paramilitary police, killing 40. The attacker was a local Kashmiri teenager who had joined Jaish-e-Muhammad, a Pakistan-based militant group that the United States designated as a terrorist organization in 2001. Pakistani Prime Minister Imran Khan said the country would take action against anyone involved in the attack “if evidence is found.” He also vowed to retaliate if India responded to the attack with military action against Pakistani targets.